The energy industry in Ontario is staggering through massive changes. The aftershocks of the August blackout are still resonating and third quarter productivity reports magnify the negative financial impact of that momentous event. As the struggle continues to maintain and operate our nuclear generators, the need for conservation has become brutally apparent. Property owners are faced with impending increases to their electricity costs. An often overlooked opportunity to reduce costs is electricity sub-metering. 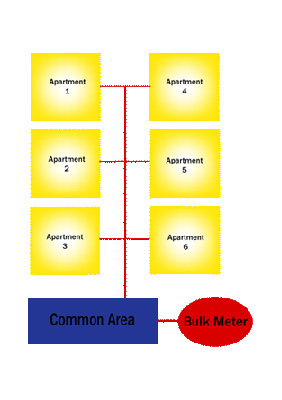 Sub-metering is the measurement and billing of electricity consumption for individual suites in a bulk-metered, multi-unit building. With the installation of a sub-metering system, the landlord implements a fair user-pay billing system, and the subsidization of wasteful tenants is eliminated. 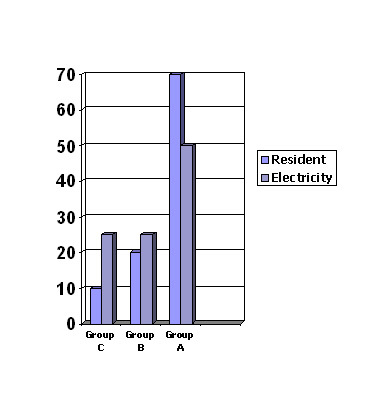 In a typical apartment building, 10% of the residents use 25% of the hydro. 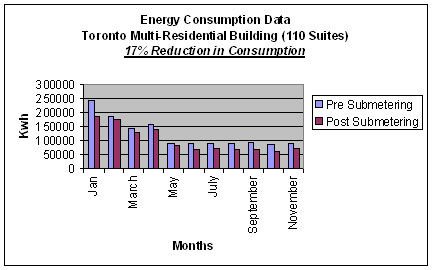 In an individually metered building, the residents that practice conservation benefit with lower monthly expenses. 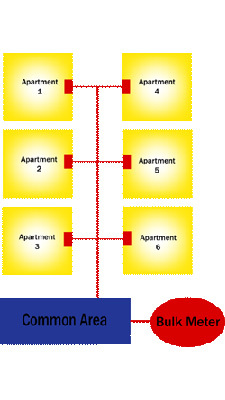 At the same time, the building owner is only exposed to the electricity expense for the common areas. Depending on the nature of the electrical loads within the building, this may represent as little as 20% of the overall electricity cost. Under this scenario, a 10% increase to electricity rates represents only a 2% cost increase to the building owner. The consumption for common area electricity usage remains virtually static year-over-year, making budgeting significantly easier. In a bulk-metered building, the landlord is exposed to the potential for large increases in consumption which may result from changing weather patterns, an increase in the number of air conditioned suites, or a change in the building’s demographics. Sub-metering differs from direct metering by the LDC (Local Distribution Company – i.e. Toronto Hydro) as the residents can benefit by being invoiced based on the lower bulk-metered rates charged to large consumers. As well, residents may profit from the decreased administration fees levied by sub-metering companies in comparison to those of the LDCs for direct-metered buildings. There are multiple methods available for financing a sub-metering system including (but not limited to) paying for the system outright as well as various means of on-bill financing. An owner may benefit by applying to Natural Resources Canada for financial incentives to help fund the cost of qualifying energy conservation projects through its Energy Innovators Initiative (EII) program. Access to sophisticated online reports further enhances the value of a sub-metering system. Already reeling from the impact of a soft rental market, property owners must now face the spectre of imminent electricity price increases. With electricity representing one of the largest operating expenses for multi-residential dwellings, landlords must recognize that electricity sub-metering offers a means to limit exposure to future increases in consumption and electricity rates.